What's the difference between a business that consistently makes it into the top spots on search engine results pages (SERPs) and those that get stuck in relative obscurity on Page 2 or beyond? Increasingly, they are separated by little more than a smart, well-executed SEO strategy (and the right website content to support it, of course). 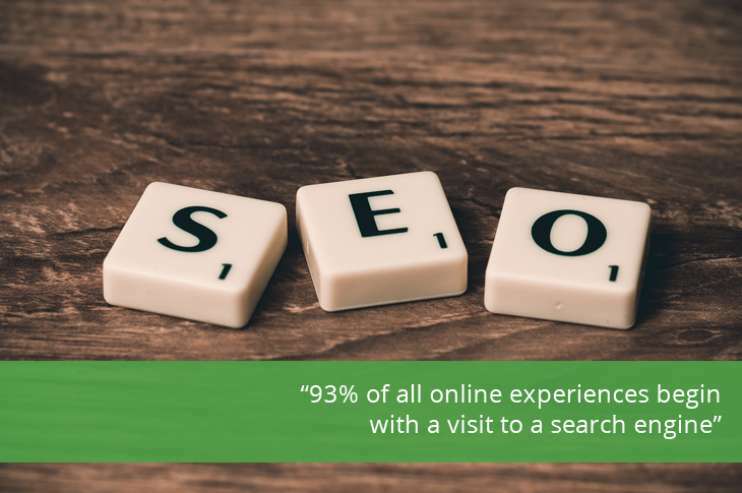 Furthermore, considering that a Forrester study once estimated that 93% of all online experiences begin with a visit to a search engine, SEO is a component of your online marketing strategy that you can't afford to ignore. There’s No Way To Game The System! The days of gaming the system through shady "black hat" practices are long gone, thanks to ever-evolving search engine algorithms and their more-semantically driven search criteria. But there are still plenty of legitimate techniques that can boost your rankings while also providing the highly relevant search experiences that today's audiences demand. Ranking for multiple keywords doesn't always equate to better results. It may seem like the more high-value keywords your page is ranking for, the better. But no single page can deliver a satisfying experience on multiple topics without sacrificing relevance on some of them. This puts your page at risk for high bounce rates and a loss of credibility that will hurt you in the long run. Look for a sweet spot between keyword competition and search volume. Focus your site pages on targeting relevant, high-value keywords–but only if your business has a fighting chance of leading the conversation around those terms. If you pursue terms that too few consumers are searching for, or that too many competitors are targeting, the costs of your efforts may exceed the returns you can possibly achieve. Pursue reputable back links to earn extra search love. Encourage industry influencers to link to your web pages from their blogs, sites, and social profiles, as the more reputable referral traffic you receive, the more valuable your site will appear to be in the eyes of the search engines. Speak in your audience's mother tongue. Smart systems that use voice commands–like Siri, Cortana, or Amazon Echo–to initiate a search are already starting to impact ranking factors. Consider how your consumers might voice an inquiry, compared to how they might type the same query into a search box, to uncover potential competitive advantages. Cater to short attention spans. Searchers are notoriously impatient–if your site doesn't meet their expectations immediately, they'll pogo back to the SERP to look for a site that will. Make sure your site is functioning properly and loading quickly if you want them to stick around long enough to get what they came for. Target specific geographies. Although localizing your keyword profile might mean you'll be fishing in a smaller search pool, the consumers you do reel in may be more likely to purchase from you because of your proximity to them. Go meta. All search engines use meta-data–including title tags, URLs, alt image tags, and headers–to understand the sites they crawl. Strategic optimization of these behind-the-scenes page attributes might not be enough to rocket you to the top of the rankings; but without it, you'll be fighting an uphill search battle without the fuel you need to keep climbing. Tap into your social media strengths. The more people you have following, commenting on, and engaging with your business on your social media channels, the stronger a signal it sends to search engines that you are a relevant and credible source of information–and worthy of a higher ranking. Strengthen your SEO with some paid support. Paid advertising techniques, like pay-per-click ads, can be used to drive traffic to your website and contribute to the overall site performance, thereby influencing your organic search performance rankings. When it comes to achieving marketing success through online search, there's a lot more to think about than meets the eye. This is why many businesses turn to SEO experts like Prove to make sure they aren't missing out on a single opportunity to gain a competitive advantage. If your online presence is less than stellar, let's talk! Our scalable SEO solutions help small and large businesses stand out among your competitors.